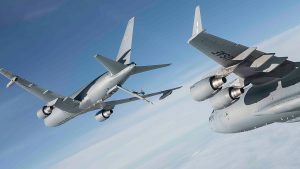 The KC-46A Pegasus tanker is changing the game in air refueling. 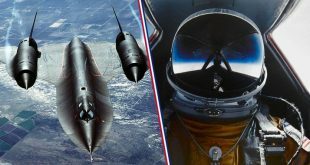 A revolutionary air refueling operator station (AROS), that displays images in super-high definition, monochromatic 3D, is enabling the US Air Force to conduct refueling like never before. The Boeing KC-46 Pegasus is a military aerial refueling and strategic military transport aircraft developed by Boeing from its 767 jet airliner. In February 2011, the tanker was selected by the United States Air Force (USAF) as the winner in the KC-X tanker competition to replace older KC-135 Stratotankers. The first 18 combat-ready aircraft are scheduled to be delivered to the U.S. Air Force in early 2018 under the terms of the development contract.